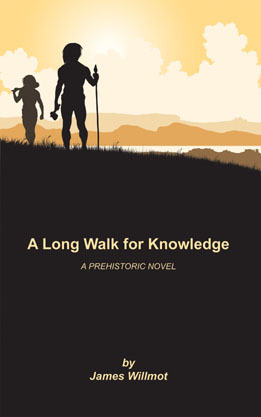 After two years of researching and writing, A Long Walk has been published on Kindle. The story takes place approximately 9000 years ago (7000 B.C.E.). In many ways, life (for human beings) on Earth was changing dramatically during this period of time. Due to the discovery of agriculture, animal domestication, basic medicine, water navigation, and other new technologies, some humans began moving away from living in small groups of hunters and gatherers, to living in larger and larger groups that would grow much of their own food. It is during this critical time in the history of our species that a young boy, Una, was forced to flee his forest village (in what is now central France). He began a 30 year quest, which took him to many different lands…lands where the technologies mentioned above, were, in fact, emerging. During his long journey, Una devoured knowledge. Yet he also shared this knowledge willingly with anyone who asked. Now, 9000 years later, he willingly shares much of what he learned about human beings, and life on Earth, with you.